Working With People With Learning Disabilities : Systemic Appraoches - ubiq bookshop: the best place to buy books! 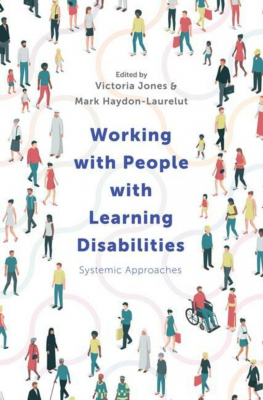 This multi-disciplinary textbook provides a comprehensive guide for anyone working with people with learning disabilities. It considers how we can engage with people with learning disabilities and their networks of relationships. Throughout, the book demonstrates how theory can be applied to practice with a wide range of contemporary examples. Each chapter is written by a key clinician or writer in this area, incorporating the disciplines of nursing, clinical psychology, and psychotherapy. The chapters also include summaries, reflective questions and explanations of key terms to reinforce themes and topics. The authors provide practical ideas for applying theory across agency contexts including inpatient hospital settings and explore the potential opportunities and future directions for the field. This is a must-read book for students who work with people with learning disabilities including nurses, psychologists, occupational therapists, speech and language therapists, psychiatrists and social workers.